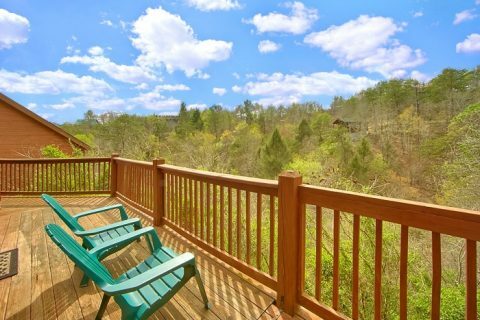 Ready to get more out of your Smoky Mountain cabin vacation? 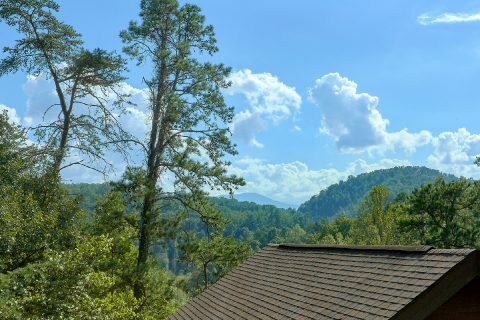 Simply book "A Beary Happy Place" in the mountains of beautiful Sevierville, TN! 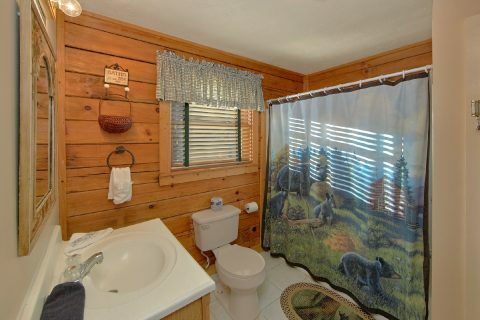 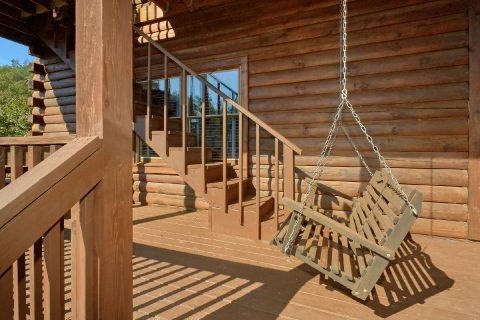 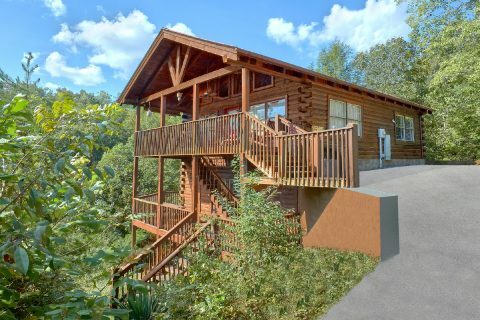 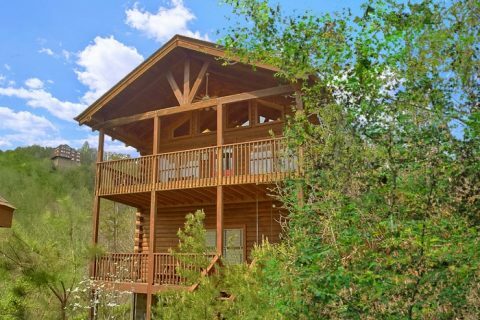 From this cabin's prime location only minutes away from Dollywood Theme Park, this rental keeps guests close to dozens of the best sights and attractions in both Pigeon Forge and Gatlinburg, TN! 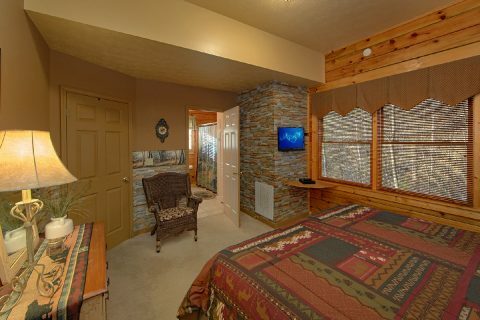 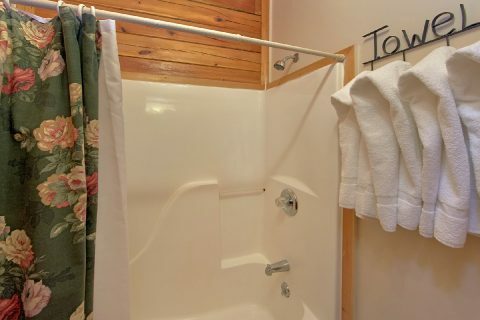 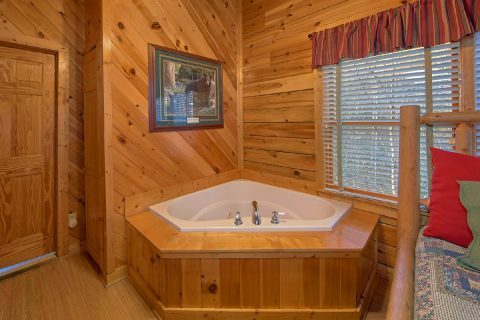 After a terrific day spent at Ripley's Aquarium of the Smokies, the national park, or seeing beautiful Smoky Mountain crafts and shows at Dollywood, you can look forward to kicking back at this cabin with plenty of excellent amenities. 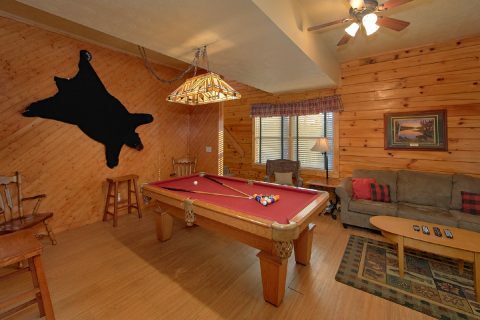 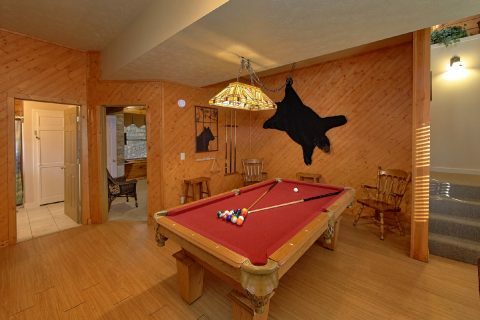 The kids will love working on their pool shot in the game room complete with a billiards table. 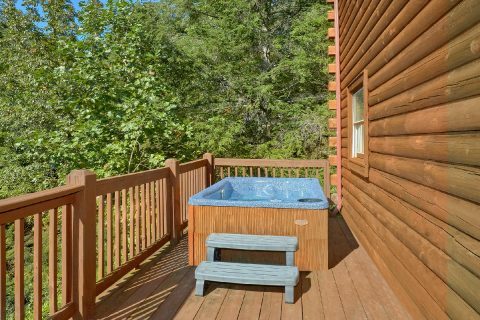 For the ultimate relaxation experience, the adults will love unwinding in the warm waters of the hot tub on the deck or the private jacuzzi tub. 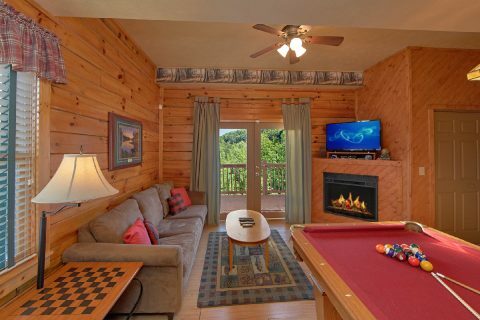 During the cooler winter months, everyone can gather in the living room with a cozy electric fireplace. 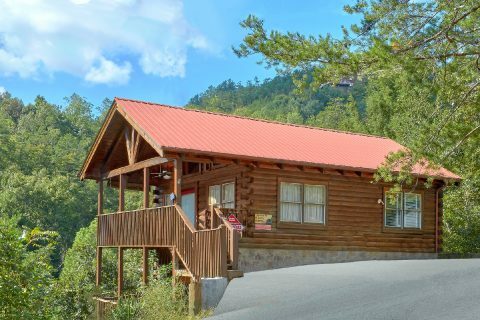 For enjoying delicious meals on your vacation, this cabin is only a short trip away from tons of great restaurants in Pigeon Forge and Gatlinburg. 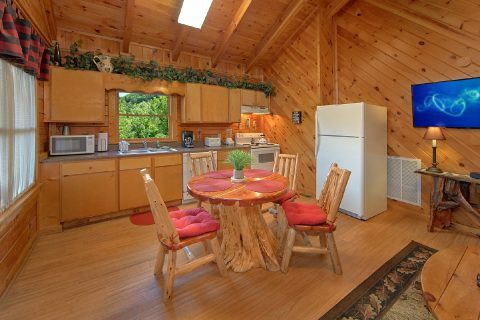 Additionally, your cabin comes complete with a full kitchen, so you can also take advantage of the cost-saving option of cooking great meals in the comfort of your rental. 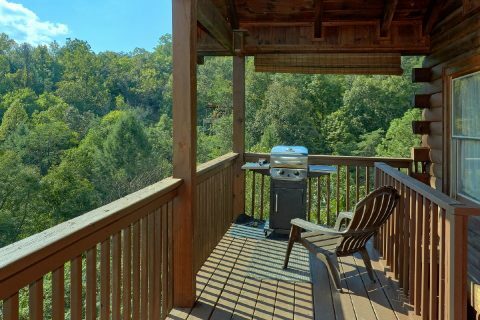 As an added perk, this rental also features a charcoal and gas grill for enjoying a cookout in the summertime! 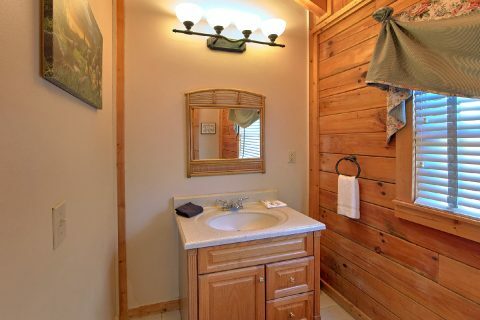 Other conveniences like WiFi and a washer/dryer are also included in this cabin. 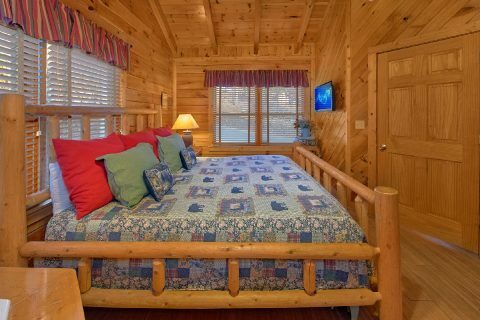 When you're ready to get a good night's rest in your cabin, guests can look forward to retiring in one of two king-size bedrooms. 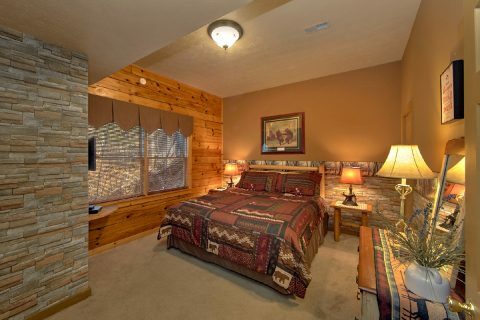 For extra guests, sofa sleepers are provided. 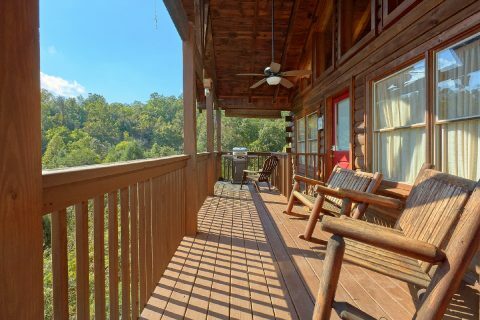 Best of all, this cabin close to Dollywood comes with a special discount to help you save money on your vacation! 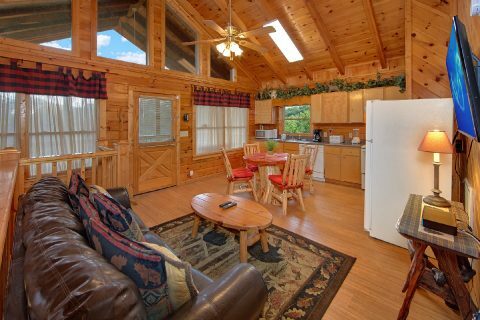 Simply reserve "A Beary Happy Place" with Cabins USA Gatlinburg to earn a 15% discount on your getaway to the Smoky Mountains!